When someone visits your LinkedIn profile, are they compelled to read on? To connect with you? To reach out and start a conversation? Do you have a picture that reinforces your brand? Does it make someone want to stick around & learn more about you? Does it reflect your current level of mastery? Does it sound more like a friendly introduction than a resume objective? Does it use strong key words that allow you to be found on LinkedIn when someone is searching for the products or services you provide? Have you updated your LinkedIn profile in the last 6 months? If you answered yes to all of the above, you’re in great shape! But if you answered “no” to any of the above questions, let’s talk about to upping your game. Here are 4 steps you can take to stand out. 1. Profile picture: Do you have one? Is it recent? Does it look like you grabbed it from your best Facebook photo? Ideally, you have a professional headshot. If not, our phones take some amazing pictures these days! Find a spot with a strong backdrop, good lighting, and get some good shots. 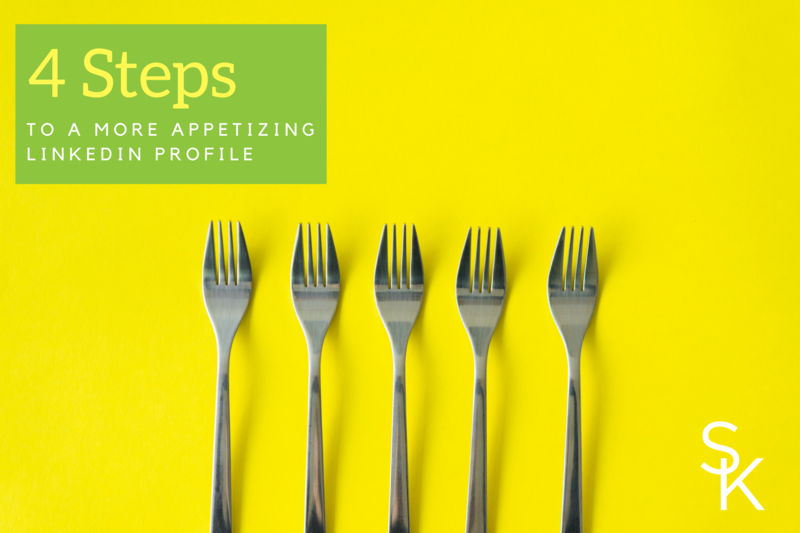 Profiles with a photo get up to 21 times more views and up to 36 times more messages*, so make sure your first impression is strong! 3. Use strong keywords and phrases. Do some research using Google. Business partners, clients and recruiters alike use LinkedIn daily to find people just like YOU. If the key word terms & phrases they are searching for aren’t in your profile, you’ll be passed up. Make sure your LinkedIn headline, summary and experience section incorporate strong key word use. It will pay off, and you’ll be able to specifically track this by looking at how many people found your profile in the last week via search, and which terms they used to find you. 4. Create a value statement. It is important to share your expertise, why you do what you do, and a story or anecdote to relate to your viewer in your summary section. It becomes even more powerful if you can wrap that up in a brief value statement. How will you solve their problem and do so in a way that is unique? Take some time to craft this to appeal to your target audience. Create that emotional connection and establish trust so your LinkedIn profile is the last one they need served up! Still not sure where to start? I’ve got just what you need! How about a template to outline your thoughts and pull your savvy new summary together? Get your LinkedIn Summary Development workbook right here, today! Connect with me here, I’d love to see your updates!